Samsung Galaxy Tab 2 Debuts Today! Before MWC, there’s always going to take place press conference’s, meaning that today Samsung will launch the most awaited Galaxy Tab 2 and Galaxy S2. Last week we’ve seen a lot of rumors, images, specification leaks, but today it’ll be official, hopefully along with the price and release date as well. 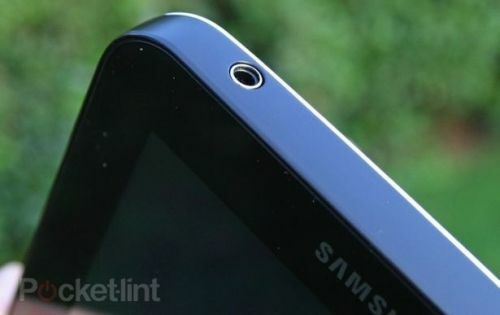 Galaxy Tab 2 features a 1GHz (Single or Dual Core) CPU, probably based on the new Samsung-Made chipset Exynos 4210. The Display is 10.1 inch with a resolution of 1280 x 800 pixels, while the tablet will come in three different versions: 16 GB, 32 GB and 64 GB. There’s a LTE 4G variant too, for those who need a very good connectivity speed. The handset runs the newly-introduced Android 3.0 Honeycomb, supporting the untouched version of it. That’s pretty cool, because what we’ve saw at Google’s event last month was very impressive. Both devices will be introduced at Mobile World Congress, tomorrow. At last, we have the chance to take a closer look to the design of a 3D display capable Android tablet, the LG G-Slate. The operator that will offer the new tablet is T-Mobile, while having a dual camera which supports stereoscopic (aka 3D) video recording. Considering the technology it supports, LG G-Slate is one of the most exciting tablets that will be announced at MWC 2011, Friday. The specifications of this device includes a Tegra 2 (1GHz Dual-Core) CPU, an 8.9 inch 3D Display, 32 GB storing space, a 2MP front-facing camera and the unique dual lenses for the 3D video recording. The OS is the newly-introduced Android 3.0 Honeycomb featuring a tablet-like based UI and experience. The design of this handset is very similar to the LG Optimus 2X due to its line of steel that can be found on the back. The gadget is very promising, the only disadvantage could be the price. We believe that it could be around $800, just like the Motorola XOOM. LG G-Slate will be introduced at MWC on February 14th. We’ll keep this updated.